The folks over at Brew Crew Ball are currently running a series of articles highlighting fan redesigns of the Brewers' uniforms. I'm honored to have my designs featured in the conversation. 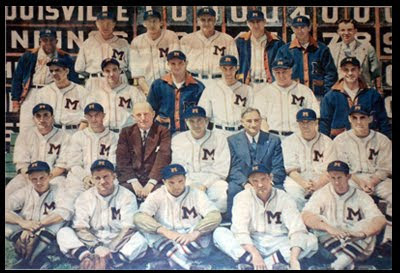 As I've said before, I am no fan of the current Brewers uniforms. 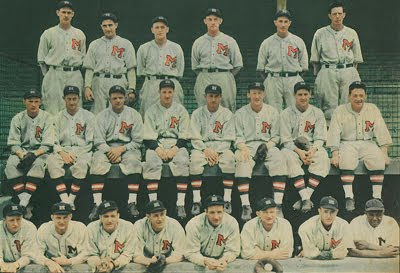 They're sterile and plain, designed by committee, and worst of all they have no connection with Milwaukee's rich baseball history. 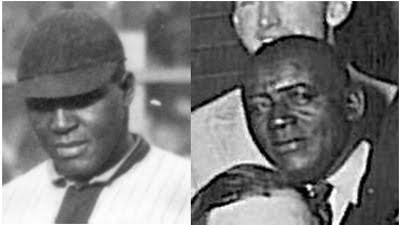 Here's a review of my proposal to give the current bearers of the name the unique and modern look they deserve, while at the same time honoring the whole of that history, including (and especially) the American Association Brewers. 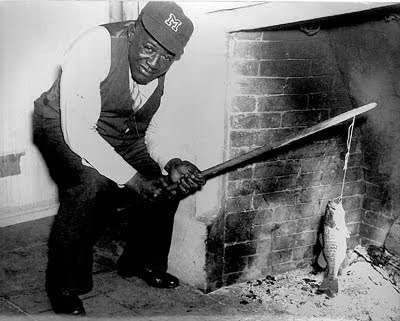 For me, it all starts with bringing back the one, the original, the Beer Barrel Man. 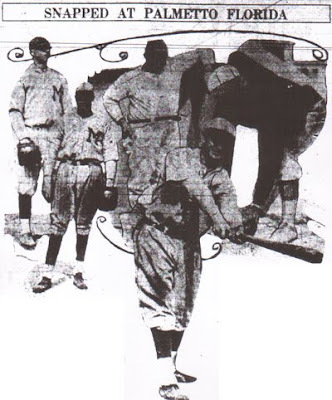 Symbol of Milwaukee baseball since at least 1901. Time he finally made the sleeves. 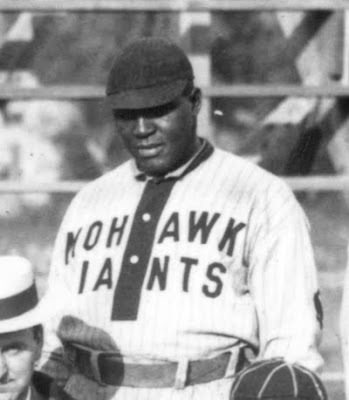 The script font on the home jersey is Saloonkeeper, based on the script used by Leinenkugel's. 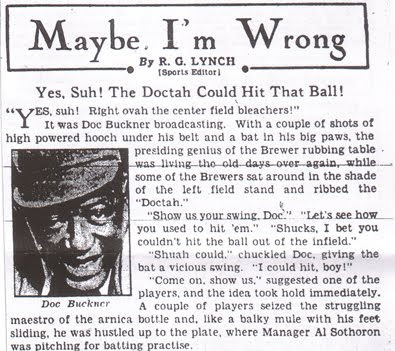 It's surprisingly similar to the script used by the Brewers in the 1940s. The road wordmark is based on a 1930s Pabst Blue Ribbon label - I'm terribly fond of that one. The color scheme utilizes the blue and gold influenced by the current colors (the only thing I really flat-out love about the current scheme). 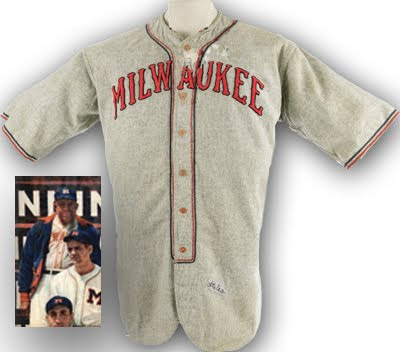 I've moved the home uniform to a light cream to reflect Milwaukee's nickname as The Cream City, as well as the various historical baseball teams known as the "Creams" and "Cream Citys". 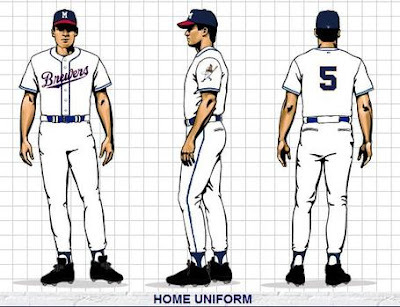 I included the shoulder piping not only because it has an historical precedent, but would also create a pattern currently unique in the majors. Another way to instantly identify the team. 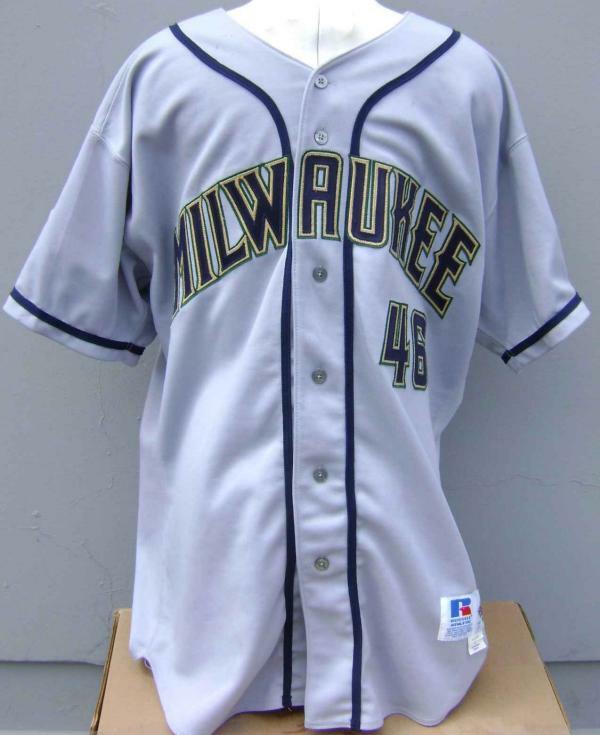 The Brewers used a similar thick piping from 1996-1999, and it looked great. The numbers are what I call a simple square block. 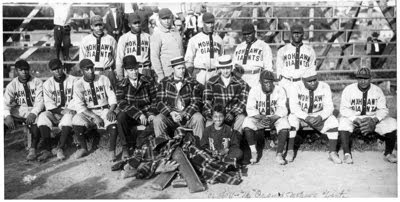 Again, they could be as easily identifiable as the San Francisco Giants' numbers are, without either drawing too much attention or sacrificing legibility. 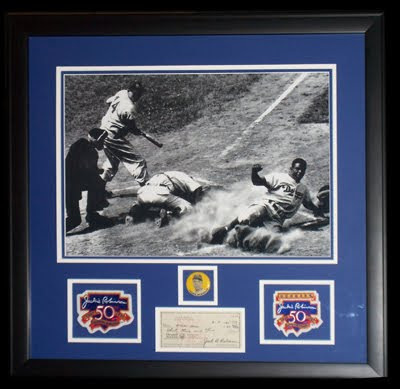 FWIW, I'm basing these on a number font worn by the Packers in the 1940s. I've always wanted to use a bottlecap in a Brewers concept. 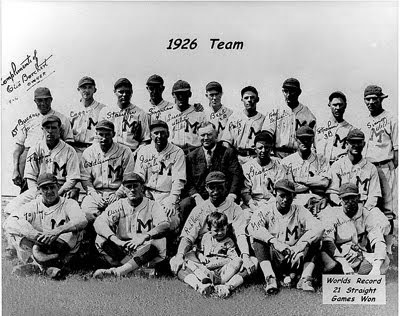 And the block "M" on the bottlecap clearly references the Milwaukee Braves and the American Association club.... okay, maybe I'm officially overthinking this one. So there you go. Heavily influenced by the past while being distinctive and modern enough to work today. 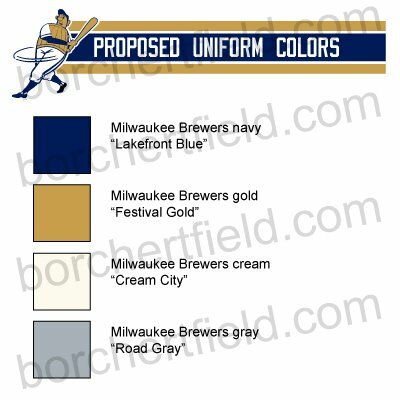 The folks at Brew Crew Ball also included a uniform re-design I created several years ago, which was also influenced by the Brews right down to the color scheme. 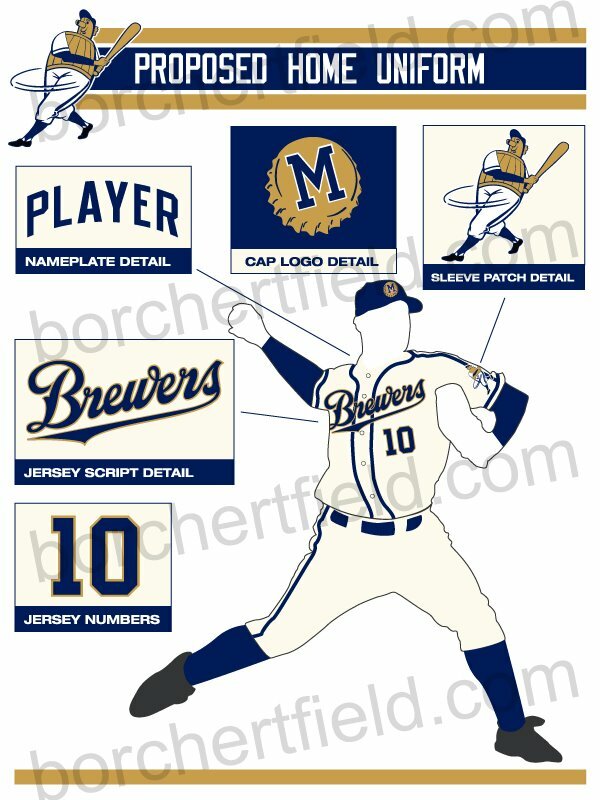 I hope you'll join the conversation at Brew Crew Ball and let us know what you think about my designs and the others. 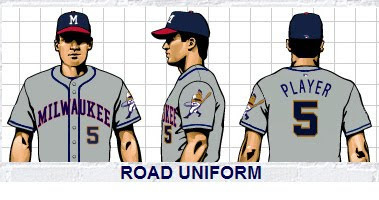 This logo will also be featured as a sleeve patch on all jerseys (including the long-rumored, not to mention long-overdue, road alternate which proudly reads "Milwaukee" across the chest). 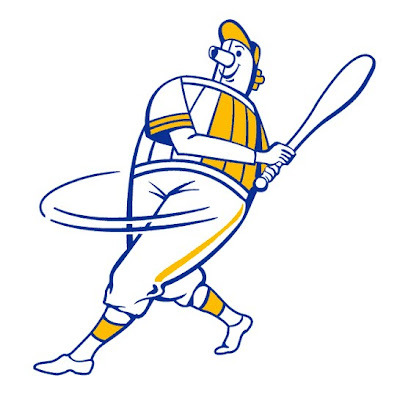 If the background looks familiar, it should - the distinctive shading across the barrel is borrowed from the 1970 recoloring of the Brews' classic swinging-for-the-fences Beer Barrel Man logo. 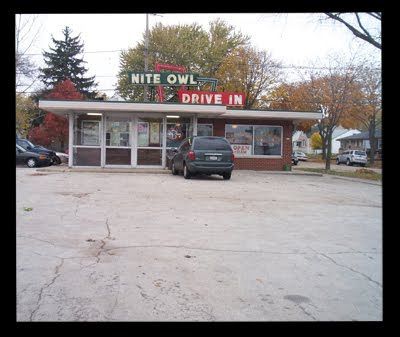 The Google News Archive continues to yield treasures. 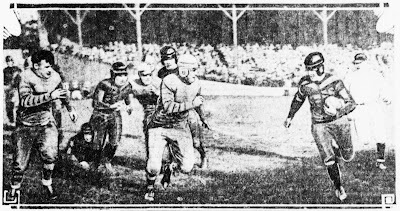 Here we have two extremely rare game action photos of Milwaukee's very own NFL club, the Badgers, playing at Athletic Park in 1926. The Badgers are in the dark colored (orange) jerseys with vertical strips sewn into the chest. 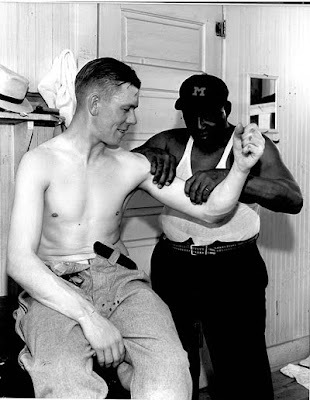 When Red Grange made his triumphal tour of the east last fall, playing football almost every day, he had to have an understudy and chose Johnny Bryan, Milwaukee's redhead for the job. In most of the games, Bryan, the understudy "stole the show" from the mighty Grange, playing more sensationally than the star. 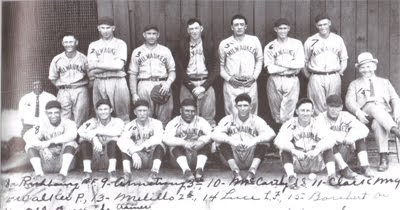 Yesterday Johnny Bryan's own Badger pro team won its first league game at home, beating Jimmy Conzelman's Detroit Panthers, 6-0, at Athletic Park. 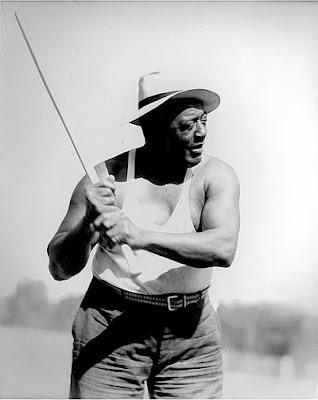 Of course, the Sentinel camera man was on the job, with Big Bertha, and he caught these snappy bits of action in the third quarter. In the upper photo, Murphy, a Badger rookie halfback, playing his first pro game, is shown flashing around end for a neat gain. Below, Hertz, substitute Badger end, formerly of Carroll, is shown bringing down the slippery Conzelman himself. 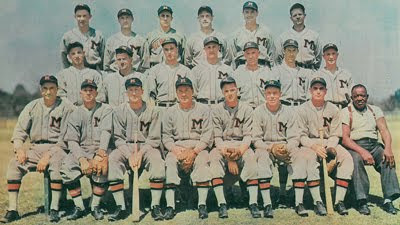 Conzelman and Doane, who is seen on the ground behind Murphy in the upper picture, both former members of the old Badger club, were two of the most popular players ever to star here. 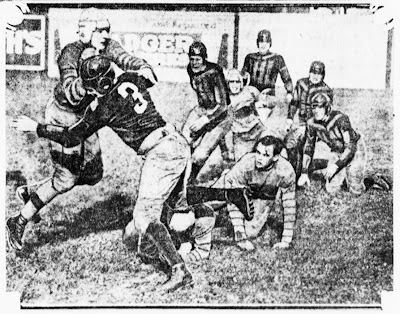 The "old Badger club" and "Bryan's own Badger pro team" reference an NFL scandal of 1925, in which the Chicago Cardinals scheduled a late-season game against a Milwaukee Badger club stocked with high-school ringers (the real Badger players had already disbanded for the off-season). 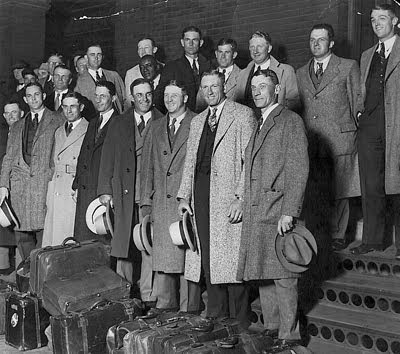 Chicago won the game, drubbing the schoolboys and raising their won/loss percentage on their way to the world championship. 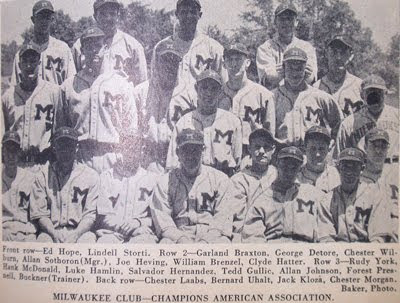 When the league got wind of the high-school stand-ins, they levied fines against the Chicago and Milwaukee clubs, forcing the Badgers' owners to sell the franchise to player Bryan, who wore a staggering array of hats as Milwaukee's player/coach/owner. 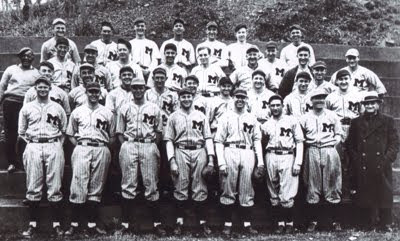 This triple-threat wasn't enough, however, and the Badgers went bust after the 1926 season. 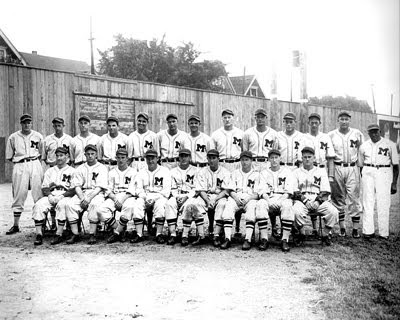 The Orchard would not again be home to professional football until 1933, when the Packers decided to make Milwaukee, and Borchert Field, their part-time home. 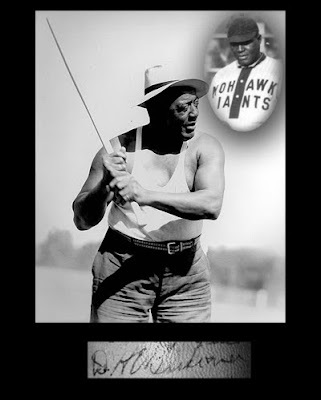 This delightful postcard recently surfaced on eBay. Postmarked 1910, it shows an excellent view of the wooden grandstand of Athletic Park (as the Orchard was known at the time). 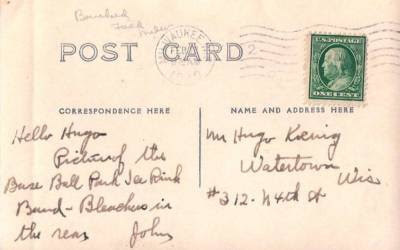 The card was sent to a Mr. Hugo Koenig of Watertown. 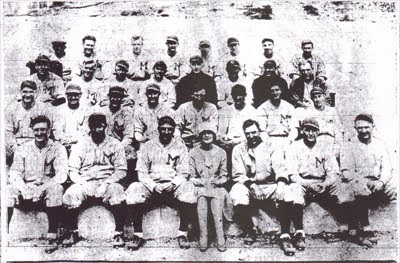 In its early days, Borchert Field was used for far more than just baseball. The field was flooded in wintertime and used as a skating rink. 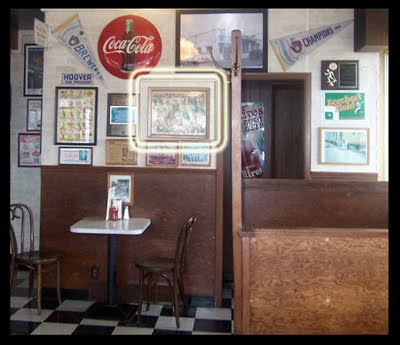 The rink was run by Henry Sperber, who also operated the concessions during baseball season. 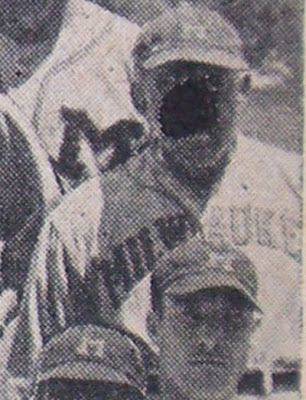 When Sperber hoisted a white flag with large blue circle up the left field foul pole, neighborhood skaters would know that the ice was ready. 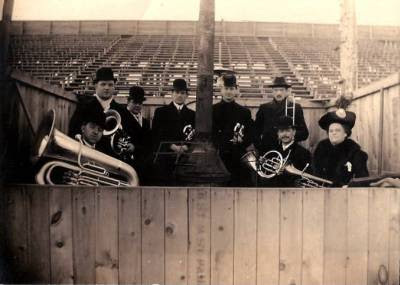 This is the first I've heard of a brass band to entertain the skaters, but we shouldn't be surprised to see this from the man who ran a bar behind home plate during games (reportedly the best views in the entire park were from his barstools). 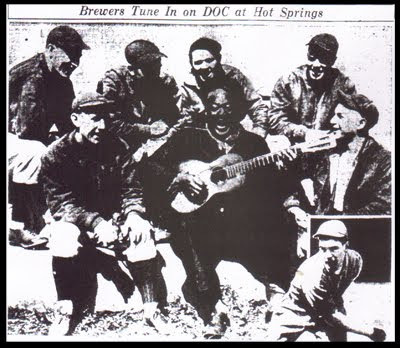 In or out of the baseball season, Athletic Park had a long history of providing Milwaukeeans with a pleasant afternoon's entertainment.